Now is the Time to Sell in Central Oregon! Spring is Here! It’s Time to Sell in Central Oregon! l your home sooner rather than later. Here are three of these biggest reasons. Most people realize that the housing market is hottest from April through June. 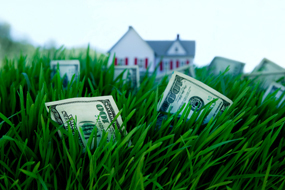 The most serious buyers are well aware of this and, for that reason, come out in early spring in order to beat the heavy competition that begins in spring. We also have a pent-up demand as many buyers pushed off their home search this winter because of extreme weather and are now ready to begin looking again. Sellers in markets where seasonal weather is never an issue must realize that buyers relocating to their region will increase radically this spring as these purchasers finally decide to escape the freezing temperatures of the winters in the north. These buyers are ready, willing and able to buy…and are in the market right now, ready to jump on anything that comes their way! The choices buyers have will continue to increase over the next few months. Don’t wait until all the other potential sellers in your market put their homes up for sale, get ahead of the competition.